It has been already 25 years since Michael Jackson’s legendary album Bad was released, and Spike Lee thought it was maybe time to pay tribute to his friend’s work by producing and directing a documentary on the making of the album. That is how “Bad25” was born. 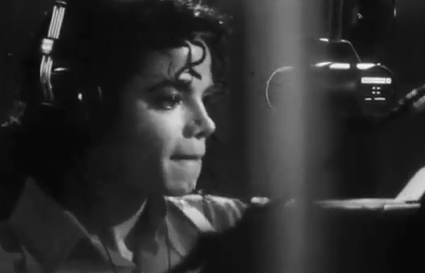 Behind-the-scenes footage from the shooting of the album’s music videos with interviews from friends and collaborators, Bad 25 reminds that luckily for us many things. First that Spike Lee has understood a long time ago, that it was more than important to collecting informations and shape them as witness in order to built an accurate sense of the black american history for now more than 3 decades. Second that this great album is the collaboration of great talents, such as Quincy Jones, Jazz prodigy who became the Michael Jackson Legendary producer, and third, the obvious. Michael Jackson was simply a genius at work. Bad25 will be aired on Thanksgiving night on Abc…stay tuned !